Well things have been silent here at ars phantasia the last couple of months due to, well, life getting in the way of RPG blogging and gaming. But I have been working on a couple of commissions in my spare time. 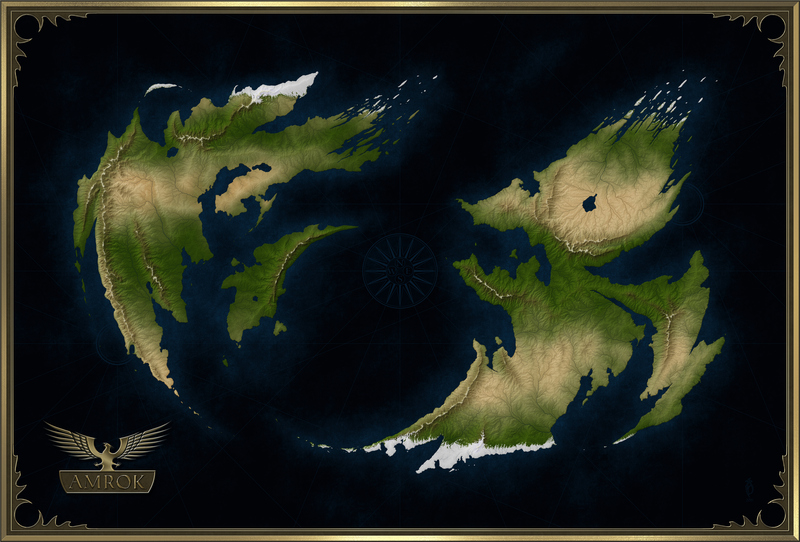 Here’s one I did for a client who wanted a world map to be used in his RPG campaign. The client wanted the map design to be similar to some of my earlier work. Because he hadn’t yet come up with names for the world, the map was left unlabeled. Hope you enjoy.